Learning a language is hard; maintaining it is just as difficult and needs a lot of will. Your French professors are right when they say that if you don't use your French, you will lose it. Keep practicing! Tip #1 : Practice speaking French. On campus, the Official Languages and Bilingualism Institute (OLBI) organizes conversation workshops with small groups of students with similar French skills. If you want to practice speaking French in a real context, try speaking to the University staff in French (they're all bilingual), including your Immersion Mentors! Don't hesitate to actively search for opportunities to speak French. Tip #2: Review your grammar and vocabulary. Tools and strategies like audio books, the Word of the Day and grammar games can help you practice the notions you have learned since you started learning French. Linguistic apps such as Duolingo are an excellent way to start: not only do they provide you with grammar and vocabulary exercises, they also encourage you to speak French! By reviewing your knowledge this way, you will be able to speak and write with more confidence and ease. You can find more advice about improving your grammar and vocabulary on the following websites: 7 Tips for Learning French Grammar I Wish I’d Known Earlier and Tips to Improve Your French Vocabulary. Tip #3 : Write in French. By actively looking for opportunities to practice writing in French (e.g. when you prepare your grocery list, by keeping a log or texting your friend), you maintain your skills. If you really want to practice writing in French, you can submit your assignments and exams in French. The University of Ottawa's Regulation on Bilingualism (Part VII, 18. (3)) allows students to write their assignments and exams in the official language of their choice in all courses, except language courses. This means you could write some of your research reports or essays in French in order to practice. The Academic Writing Help Centre (AWHC) is a useful resource available to students who wish to improve their writing skills. A writing advisor will guide you throughout your assignments, from the first draft to the final version, which will make the task of writing your assignments in French easier, if you choose to do so. You can find other suggestions and resources about writing in French on the following websites: The best free online learning resources and The Coolest Way to Practice Writing in French: Creating Your Own Short Stories. Tip #4 : It's an immersion program, so dive in! It is undeniable that be integrating various aspects of French culture in your life, you will be able to maintain your skills and improve your French. You could, for example, watch TV in French, listen to the radio or read in French! You could even organize a whole week-end in French: French food, French films, French music and, of course, French language! University of Ottawa students are lucky to live in an officially bilingual city, which offers many activities in both languages! And the city of Gatineau is so close! You will find many opportunities there to immerse yourself in French. The following website suggests activities to do in French in Ottawa: Five Places to Practise Your French in Ottawa. For information about tourism in Gatineau, see the Tourisme Outaouais website. Once in University, you can take advantage of the trips to Montreal or Quebec City organized by the Immersion Club, or you can even study abroad! Ask questions when you don't understand: if something is unclear in your classes, ask questions to your professor, teaching assistants or even to a friend! Don't panic! We know that the first week of university or even the first semester can be hard, but remain calm. Hold on tight! We guarantee you things will become easier with time. If you need help, get help! Lots of resources are available to immersion students who wish to improve their adjustment to everyday life. Take FLS courses to succeed! If you think that some aspects of your French skills could be improved, take an FLS course. These classes are organized according to the main components of the French language (written and oral expression, grammar, etc.) and are very useful! They also are an excellent way to prepare yourself for the University Second Language Certification, FLS35000! Create a study group for your French courses! The best way to ensure you have all the necessary information before an exam is to study with friends. Some may have caught something you have missed, and it is always interesting to get the point of view of others. Also, you will all be able to make sure you understand the course content. FLS2581 and FLS3581 are, in this regard, the best options - these courses are basically study groups! Take advantage of resources available on campus, such as conversation workshops, to improve your French. These resources are free and very useful. Participate! Socialize and foster relationships with other FI students by taking part in Immersion Club activities or other events on campus. You can take even your French out of the classroom and out of the campus by participating in activities in Ottawa, bilingual city, or Gatineau, who is quite close. Speak French as often as you can! You won't get better if you don't practice. Consult your Mentors (of course!). We're here to help! Wether it is about registering for your courses, advice concerning your studies, courses recommendations or on-campus service suggestions, we can answer your questions. We know what you're going through; we were there not too long ago. And if we don't know the answer to your question, we'll help you find it. The Centre's Learning Section is a reference library which counts four sectors to help you learn and develop your second language skills. It's a great place to come and try out your skills in different ways or if you are looking for a quiet place to work on le français, langue seconde! 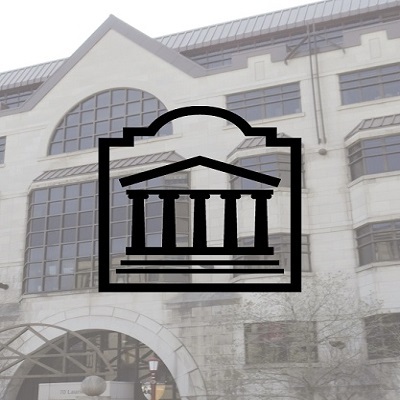 La Rotonde is the University of Ottawa Francophone newspaper. You can get a free copy on campus and test out your linguistic abilities while keeping informed about student and community life. If you're confident enough about your French skills, you could even volunteer for them one day. What a nice way to keep in the loop! 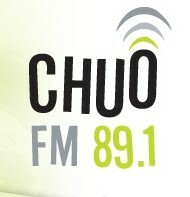 CHUO 89.1 is the University of Ottawa radio station. Listen to French and English shows to practice your linguistic skills or to practice before your next French-as-a-second-language test. Ottawa is a very bilingual city, and with Gatineau just across the river, the possibilities to live and learn in French are practically endless. As such, there are many activities and events that take place in both languages. This region is one of the greatest advantages of studying at uOttawa. Your second language must be used if it is to thrive, and the array of social and cultural events taking place in French in the region represents an incomparable opportunity. 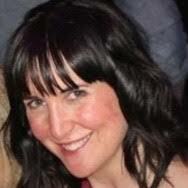 Even before students submit their application up until they get their diploma, Alexandra is happy to answer all questions and concerns about French Immersion.